This Right Control Switch Throttle Kill Start was parted off the described bike that had 16968 original miles at the time of disassembly. All pictures included are taken of the actual parts that will be received if you buy. All our parts have been inspected. If they have damage or heavy wear, it will be shown and/or marked in the pictures. All parts show normal wear from use and age, and all parts are tested for functionality unless otherwise stated. Please check the stated part number for interchange and fitting. 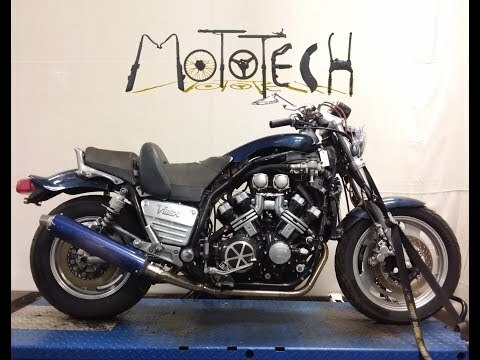 All parts sold by Mototech271 are taken from used motorcycles purchased from multiple reputable sources. Mototech271 has a 60 day return policy on all of our parts. Return shipping costs will be reimbursed upon completion of the return. Disassembled, modified, or operator-damaged parts are ineligible for refund. All parts are shipped by the next business day after purchase, and we are proud to offer worldwide shipping of all our items. If you encounter an issue, please contact us as soon as possible so that we can help you resolve the issue. We will we happy to assist you and would love to hear your feedback. If we suspect there may be a problem with getting your item delivered we will contact you. To ensure that your order is completed on time, please provide valid and current contact information that we can use to get in touch with you. Shipping is fulfilled through United States Postal Service or UPS. We do not use Fed-Ex or DHL. Freight items will be fulfilled by one of the freight carriers at our disposal. If you have any questions about how your freight shipment will be delivered, please contact us. Import duties, taxes, and charges are not included in the item price or shipping cost and are the buyer's responsibility! Please check with your country's customs office to determine what these additional costs will be prior to making your purchase decision. Residents of the State of Texas will be subject to applicable sales tax. Freight shipping times depend on your distance from our physical location in East Texas, USA. We list the Year, Make, and Model of the vehicle that this part was taken from. It is the buyer's responsibility to ensure that it is compatible with another make or model if you are purchasing this part for a vehicle other than the one that this item was listed as coming off of. Occasionally, you may receive a partial shipping refund due to your items being combined into a single package for shipping. If you have any questions about your order, the parts we sell, or our policies, please contact us via our electronic storefront. Thank you for shopping with Mototech271!